After being accused but ultimately found not guilty in an arson case, the former senior member of the Hong Kong Police Force, Szeto Shun, leaves his job and is then hired as the Head of Security at a hotel. At his new position, he is still obsessed clearing his name and finding out who the real arsonist was. A chance encounter with the private investigator, Ng Zan Lei, may be the key to solving this puzzle that has consumed Szeto’s life. Before we get into all the technical parts of this review, can we just take a moment to appreciate how impressive the cast for Eye in the Sky was? 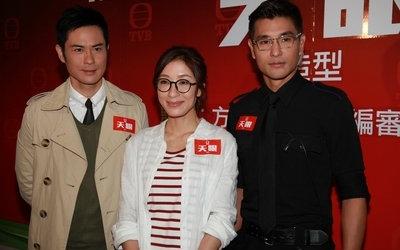 I’m talkin’ Kevin Cheng, Ruco Chan, and Tavia Yeung all in one drama, and it’s a non-anniversary one too! Seriously, thank you, drama gods. When you think about how a lot of the well-known Hong Kong drama actors are leaving TVB for greener pastures, it’s even more astounding that we’re treated to a drama with this caliber of actors. I’m pretty certain that most of us who watched this drama was first tuning in for the cast alone, and not necessarily the storyline. That being said, TVB could have really used the cast as bait to trick viewers into tuning into a bad drama, but they didn’t! Eye in the Sky had a story that was as exciting as its headlining cast, and it maintained the intrigue for viewers from beginning to end. If I had to sum up this drama in one word, it’d have to be: bromance. While the writers and producers were probably setting us up for there to be some type of epic love triangle between the three leads, the traditional romance definitely took a backseat to the relationships between the male characters. In Eye in the Sky, the loyalty between “brothers” carried much more weight than a couple’s romantic love. The bromance (or perhaps lack of one,) between Kevin and Ruco’s characters was obviously the focal point, but even the secondary bromance between Ruco and Tony Hung’s characters was more meaningful to watch than any of the romance parts involving their ladies. Jan aside, the story of Eye in the Sky was an extremely refreshing one, especially by TVB standards. Even though there were some very on-the-nose and predictable plot points, I was nevertheless kept guessing until the end. A lot of the credit goes to how insanely fast-paced the plot was because the show just kept throwing out big reveals left and right with hardly any warning. This is definitely a drama that you want to be paying attention to because if you just walk away for a second, you’ll probably have missed something major. The plotline is so tightly packed that there was virtually zero room left over for dragginess. Sure, there were some unnecessary moments (yup, looking at you, Jan…), but they weren’t exactly “boring.” In fact, I wish the drama was 25 episodes instead of 20 because those additional episodes could help slow things down slightly. That way, some of the stories and characters could have been further fleshed out. Like I mentioned earlier, I tuned into Eye in the Sky solely because of the cast, and specifically for Kevin. He’s one of my favorite TVB actors and this was his comeback drama after a 3-years absence, so OF COURSE I was going to watch. But after finishing the drama, I think I’ve come away from it a bigger Ruco fan than Kevin. Say what? Seriously though, Ruco’s one of the most expressive actors I’ve seen in awhile, but it’s never over-the-top and ridiculous. While the acting was also quite good from Kevin here, Ruco benefited from having a more layered and complex character. But then again, if Kevin were to play the Lik character instead of the righteous Szeto, I don’t think he’d do as good of a job as Ruco. Alas, even though he gave a great performance here, I don’t think Ruco will be winning the “TV King” title this year because this wasn’t a very buzzworthy role, in TVB terms. (And we know those awards are rigged anyways.) Worthy nomination though! I have nothing to say about Tavia’s acting because her character was awful. I’ve also never been a Tavia fan, so it is what it is. It’s a shame that this wasn’t a heavily promoted drama because I think it was even better than last year’s popular Line Walker. Eye in the Sky just had a more interesting and exciting plot, and this is coming from someone who really, really liked Line Walker. Even though I doubt this drama will become a classic, you’ll absolutely not regret watching it. Because it is so rare to have this many TVB stars in one drama, this one is a must-watch if you’re a fan of any of the actors. But really, watch Eye in the Sky because it has a fast-paced and intriguing storyline, and just so happens to feature a bromance that fangirl dreams are made of. P.S. The KFC craving is very real while watching this drama. Catch up on Eye in the Sky with the episode recaps! 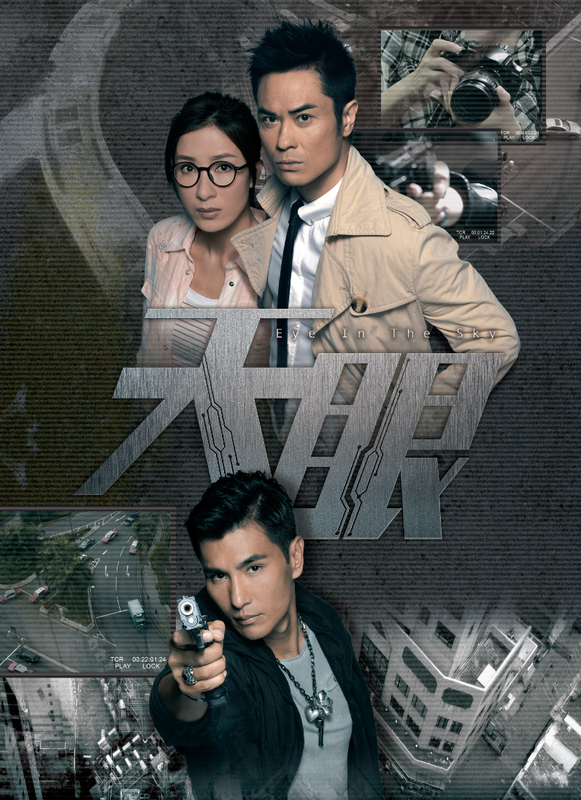 This is Kevin Cheng’s comeback TVB drama after being absent from Hong Kong dramas since 2012’s Ghetto Justice 2. Did anyone watch his Mainland Chinese dramas? Thoughts? 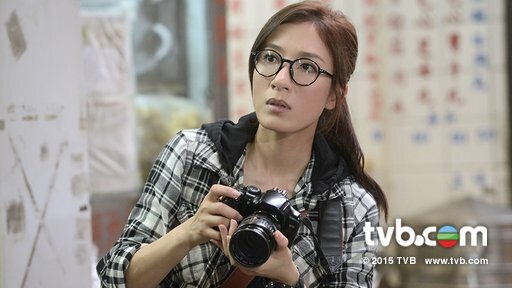 Eye in the Sky is Kevin and Tavia’s third collaboration together after Yummy Yummy (2005) and Beyond the Realm of Conscience (2009). Ruco and Tavia previously collaborated in his breakthrough drama, Other Truth (2011). Ruco and Tony Hung will be co-starring in the upcoming TVB drama, Captain of Destiny. Kevin is currently filming a vampire-themed drama, Blue Veins, alongside Cantopop singer, Kay Tse. The theme song for Eye in the Sky, Truth/真相, was performed by Alfred Hui and Hubert Wu; both are alumni of the HK singing competition, The Voice. Could you move to the side, Tavia? Hmm lots of bromance + not a draggy story + great cast? I may have to try this out later when I find the time. Sadly I don’t know as many HK actors, so the only name I recognize here is Kevin Cheng. I saw him in one mainland c-drama and I enjoyed his acting there. Are you talking about his performance in Bu Bu Jing Xin? He was really good in that! This one is a pretty good drama for an intro to some of the top HK drama actors! I started watching BBJX awhile ago per Estelle’s recommendation (and I heart Kevin lol), but just couldn’t really get into it. I pretty much agree with most of what you’ve said. 😉 Although Jan and the ending really annoyed me, to the point it’s hard to remember how much I loved episodes 1-17. There was so much potential for them to make it 25 episodes, either actually develop the love triangle or just drop the romance altogether. Then just show scenes of Szeto & Lik having conversations while lying on their bunk beds. HAHAHA. I am really liking Ruco in ROE, but the story isn’t as intriguing to me as the one in EITS. Maybe bc I’m not a big Aimee Chan fan, so I don’t really care for the romance either. And I usually love Ron, but now I know what everyone means when they say he always plays the same roles. Did you watch “All That is Bitter is Sweet” with Ruco and Linda? That was the first drama of my “Post-EITS Ruco drama binge” haha. I really enjoyed that one! Definitely wished there was more bromance & possible sequel, but then it sounds like Kevin won’t film for TVB anymore once he finishes the latest one. He looks like he’s in a rush to get out of there lol. Ruco shined in ROE! Yeah the love triange was weak but I loved Ruco/Yoyo!!! So much potential. Didn’t see ATIBIS… my mum was watching it and I caught bits & pieces… but then she told me the ending so just lost the incentive to watch it lool.